After hearing and reviewing the iFi iDSD, I was please to see that avstore became distributor of iFi products. To be sincere, I didn’t even know of iFi iTube, but a friend of mine pointed me in its direction when I’ve complained that Precision 2 was harsh / bright with Piega Premium 5.2 and that adding a tube pre-amplifier helped the situation a lot. The build quality and design is very similar to what you can find in iFi micro iDSD, and that is a good thing. Recently I got a new pair of speakers, Piega Premium 5.2. If you read my review of their little brothers, you may already know why. However, even if with Premium 3, my speaker amplifier, Precision 2 was an excellent match, something was off with the combination between Precision 2 and Premium 5.2. It sounded harsh, digital, bright with shy bass weight. This is when I thought that an iTube might be a very nice addition to the sound, and I was right! With all the other speakers I have tested Precision 2 with, it worked quite well, giving no sign of brightness, but with Piega 5.2 it did. Not sure why, as I have tested some other amplifiers with these speakers and they didn’t have this problem. Now, to be sincere, Premium 5.2 are not warm either, and I would put them more on sincere side of neutral, but they are not bright. Actually they are very transparent and they show you what system you have before them quite well. This being, said, adding iTube before Precison 2, was exactly what my system needed. iFi states that iTube was made to get a more natural / analog sound and to extend the listening periods and they are right on the money with that. 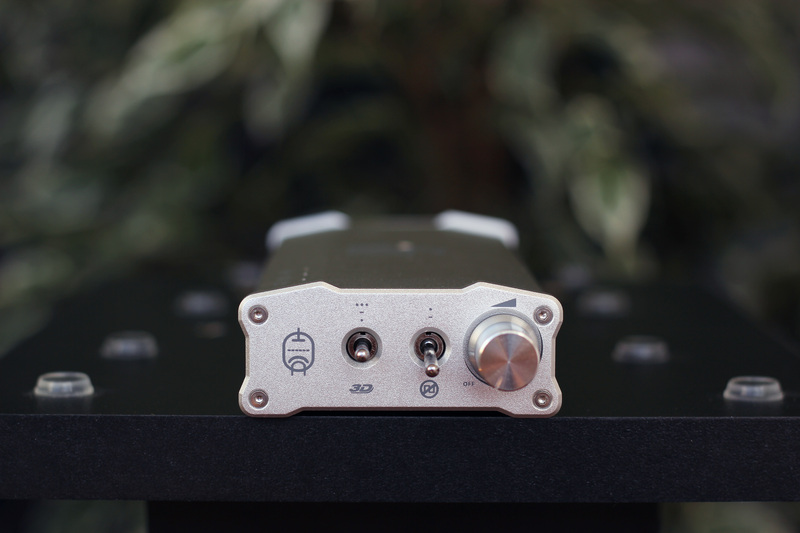 The unit can be used as an audio buffer as well as a pre-amplifier. 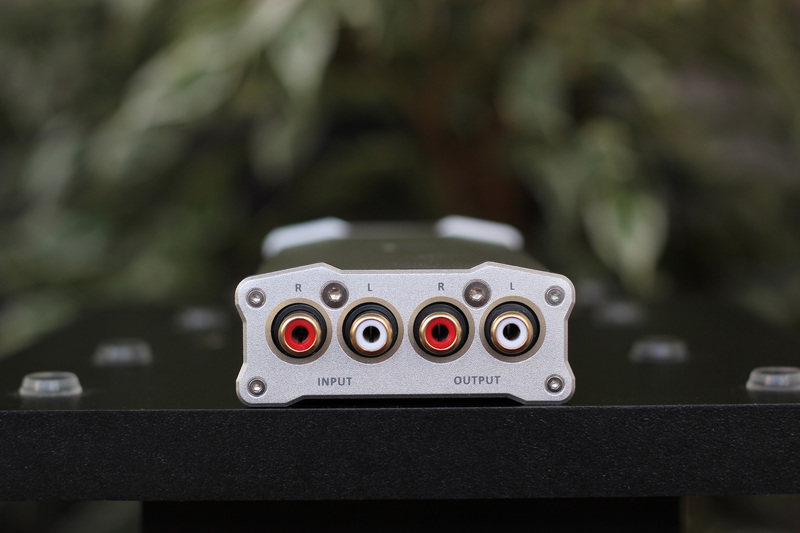 On the back of the unit you can find 2 rca inputs and 2 outputs. If you look in front of the unit, besides the volume knob, you will see 2 switches. One is to activate the “3D HolographicSound” feature, and the other is to activate the “Digital Antidote Plus”. The first one is to expand the soundstage, and the second one is to remove the digital harshness from some DACS. You can read more about each feature right here. The tests have been done with MSB Analog DAC, Audio-GD Precision 2, Piega Premium 5.2, Jadis Orchestra Reference, Audio Gd Master 9, Sennheiser HD800, HiFiMAN HE-560. The first thing I have done was to try it with the headphone system. It did bring a very interesting signature to the sound, a more analogical presentation, but it took away from the awesome transparency that Master 9 has and that makes it special. It brought exactly what the sound needed to become really enjoyable. I also tried it with a tube amp, Jadis Orchestra Reference to be more specific, but I felt that it was too much tube “magic” if you know what I mean. The 3D Holographic sound was really fun indeed and it was the best 3D switch I have heard until now. It really expanded the soundstage and improved the instrument positioning. Overall, I still preferred the default sound, but it is a very nice and fun feature to have and turn on from time to time. The Digital Antidot Plus is meant to reduce the digital harshness you can find in some DACS, but it was not the case with my Msb Analog Dac. Turning this feature on didn’t improve the quality. It actually dimmed the transients a little bit. However, I think it could go nice with some other dacs, especially the ones that are kind of bright or too aggressive. This little silver box is very interesting indeed. The instruments sounded considerable more realistic, especially the violins that were kind of harsh and less natural without iTube. I also felt a bigger soundstage with better depth and width. The cellos were also considerably more pleasant with more body and presence. The soundstage with iTube decompressed giving more air and space between instruments. Also the voice was more emotional, closer to you and better extended. The guitar plucks weren’t so impactful as before, but they still had good attack, adding a more tickling and pleasant sensation to the notes. The drums presented better body and depth. The voice was again better textured and pleasantly brought a little more in front with more extension and less sibilance. All the instruments were more relaxed and overall more natural sounding. Again iTube made a very good addition to the audio chain, adding more body to each guitar note and better extension. Even the sound effect from the begging of the song achieved by rubbing the guitars, was more natural and presented even better the real texture of the material. The guitar plucks are incredibly musical with iFi iTube with a smooth but sparkly tickling sensation, still keeping the notes well delimited from one another. The voices again are considerably more awesome, with better presence and texture. The bass got something from tube bass if you know what I mean, but in a good way, adding more extension without bleeding into the other frequencies. 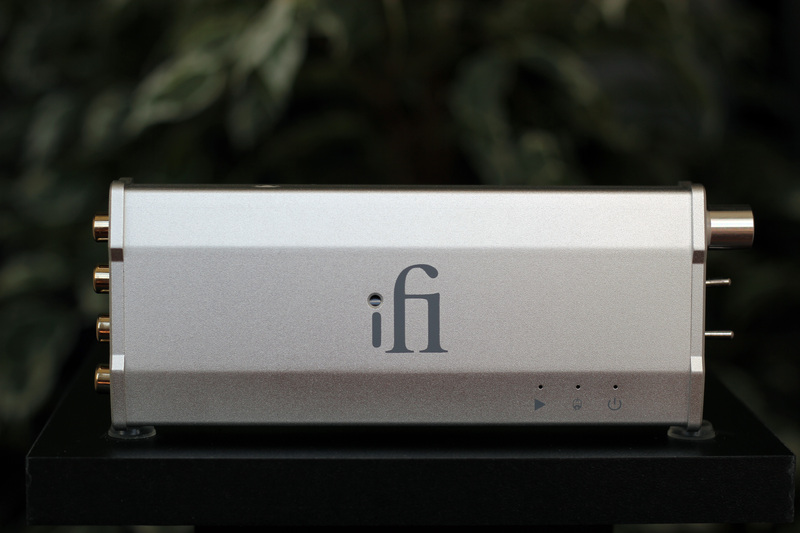 Of course, this is one of the most important addition that iFi brings to the sound. From voices to instruments, everything sounds more enjoyable, pleasant and natural. The treble is considerably more natural, cutting off from the digital harshness you can find on some songs. If you have something sibilant in your system, iTube can be a big help in this regard. The treble still remains extended and sparkly when it needs to. Everything sounds decompressed with more space for each sound to live and travel within. The soundstage gets bigger with better depth and width. Everything from voices to instruments sounds more natural and life like. If you have something digital sounding in your sound chain, iTube would be a great addition indeed. The voices were considerably more present, natural and extended with iTube. They also become considerably more emotional and intimate, making it easier for the listener to connect to the music. This little box really adds musicality to the songs, making every instrument to sound more romantic and pleasant to the ears, every voice to sound closer, more intimate and more extended. You can get a better feel on the violins, cellos, saxophones, even pianos and voices, as they have better and more natural textures. iFi really managed to impress me with micro iDSD and iTube was another product to confirm the quality that this company is capable of. 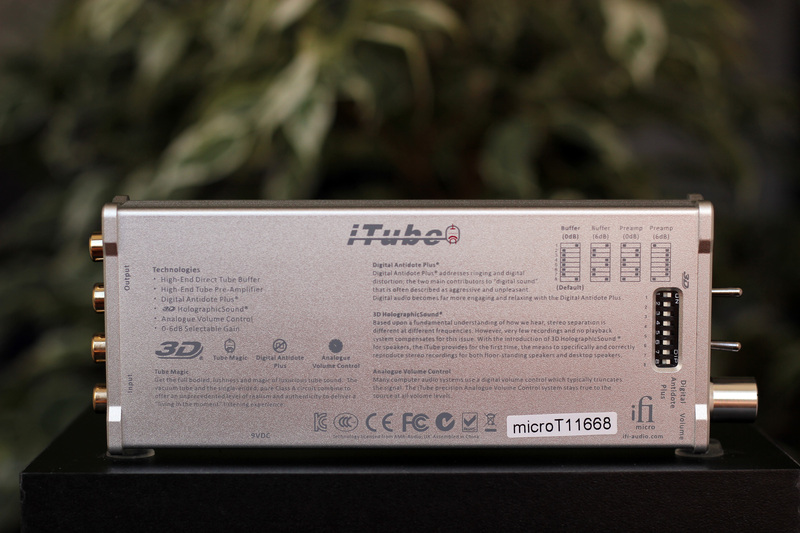 Micro iTube could be just what you need in your sound system. If you feel that you would like a more natural sound, deeper bass, a bigger and a more holographic soundstage, more emotional and extended voices, this might be exactly what you were looking for. The good news is that all of the above come in a small and price competitive package, so what can I do anything else than wholeheartedly recommend this product? I’m considering this unit for use between my Marantz CD5004 player and PM6005 integrated amplifier. I have several pairs of bookshelf speakers, Paradigm Atom Series 7 and Dynaudio DM2/6 monitors, which I alternate between for 2-channel sound. So it’s all pretty much mid-priced or even entry level equipment. Sometimes, there is an annoying digital glare particularly evident in the upper treble range, and a certain harshness overall. The cd player also sounds a bit mechanical at times. On the other hand, the Marantz Dynaudio combination is already on the smooth side so I don’t want to overdo it in that regard. I wasn’t quite sure if this would work well with a full-size system. Please comment. I tested it on full size systems and it works great. Now, I don’t know how your system sounds and if this should be a good addition, but in the system I tested it took away the digital glare.